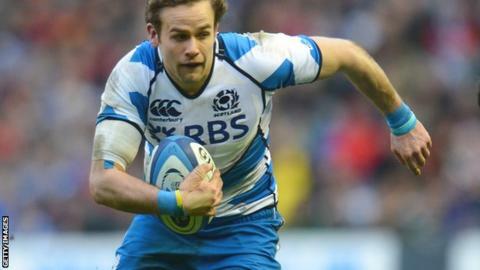 Wasps boss Dai Young admits the Premiership club will struggle to find a fly-half capable of replacing injured Scotland international Ruaridh Jackson. The 25-year-old summer arrival from Glasgow Warriors will undergo knee surgery after injuring himself in only his second match for Wasps. "It is not easy to pick up any quality player at this time of year," Young told BBC Radio 5 live. "Most quality players are already signed up and working elsewhere." Young added: "We will look at England-qualified players first, but if we can't get one of them we will look further and further afield." Premiership and Heineken Cup-winning former England fly-half Andy Goode has started both Premiership matches for Wasps so far this season, with Jackson coming off the bench. Youngster Alex Lozowski will now have an opportunity to come in, with former Sale Sharks full-back Rob Miller also an option at 10.